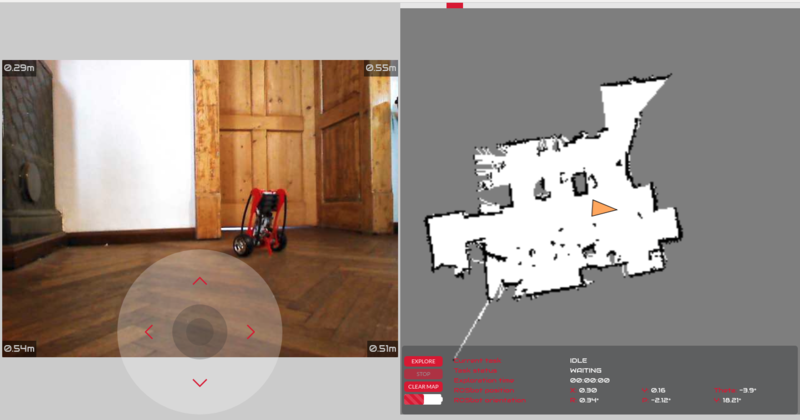 ROSbot 2.0 and ROSbot 2.0 PRO are autonomous, open source robot platforms running on CORE2-ROS controller. 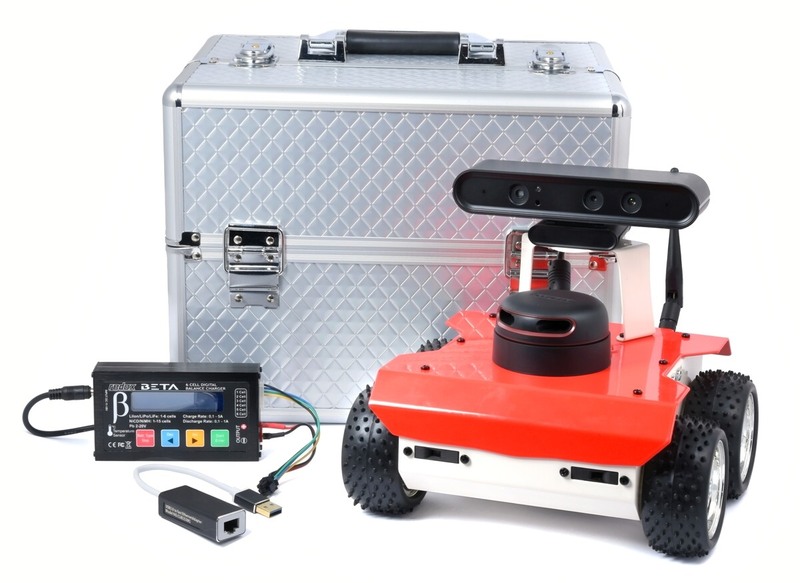 It can be used as a learning platform for Robot Operating System as well as a base for a variety of robotic applications like inspection robots, custom service robots etc. If you don't have one, you can purchase it here. Your ROSbot is assembled, but to get it ready to work, you need to provide a power supply and attach the antenna. To charge the batteries, follow this guide. To attach the antenna, screw it to the antenna connector on the ROSbot rear panel. There are three ways to connect ROSbot to Husarion cloud: ethernet connection, mouse + keyboard or mobile app. Choose the most comfortable for you. ROSbot is basically a computer running Ubuntu, so let's configure it like a standard PC computer. Plug in a display with HDMI, mouse and keyboard into USB port in the rear panel of ROSbot. Turn on the robot and wait until it boots. In the ROSbot 2.0 set there is a USB-Ethernet card. Use it for the first setup. That's a deprecated option, so previously mentioned instructions are prefferred. Press and hold the hCfg button on ROSbots rear panel. When blue and yellow LEDs starts blinking, release the hCfg button. Connect your mobile device to Husarion Wi-Fi and open hConfig app (hConfig in AppStore or hConfig in Google Play) to connect ROSbot to the Wi-Fi network and your user account at cloud.husarion.com (how to do this). At https://cloud.husarion.com click "edit" next to your device name and sellect "IDE". Create a new project using CORE2 as your board and "ROSbot default firmware" as a template. Build and upload program to the deivce (use button with a cloud in left-up corner). Proceed to Device setup section. Press WinKey + r then type mstsc. Type in your device IP address and click connect. You will see the ROSbot desktop, from the top menu, choose the Applications -> Terminal. To exit text editor press: "Ctrl + x", "y", "Enter"
Click "edit" next to your device name and sellect "More" where you will find a local IP address of your device. Note the address next to "Local IP" (in "Edit"->"More" section), you will need it in a while. Connect your laptop or mobile device to the same network as ROSbot. You should see interface as below, use it to test and control your ROSbot. Note: if you experience any issues, make sure batteries are fully charged (LED L1 is blinking if battery level is low). Charging manual is here.